Heartburn, also know as acid reflux, is a painful and burning sensation in the esophagus, just behind the breastbone usually associated with regurgitation of gastric acid (gastric reflux). 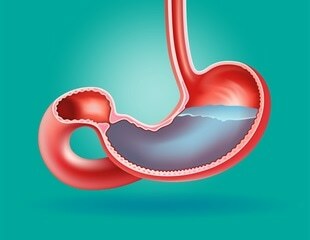 Treatment with Ethicon’s LINX Reflux Management System reduced medical costs more than laparoscopic Nissen fundoplication, a more invasive anti-reflux surgery, and more than offsets the slightly higher cost of the procedure, according to a new study presented here today at the 2019 Annual Meeting of the Society of American Gastrointestinal and Endoscopic Surgeons. Proton pump inhibitors, which include well-known brand names Prilosec, Nexium and Prevacid, are among the most commonly prescribed medications in the world. Approximately 10 percent of adults in the United States take these drugs for frequent heartburn, acid reflux and gastroesophageal reflux disease. In a new study, Jefferson researchers found chemical differences between hot and cold brew coffee that may have health impacts. USP<301> describes a back-titration to determine the acid-neutralizing capacity (ANC). The method is very fast, easy, and reliable. The Metrohm Application Note AN T-192 includes the effective determination of ANC for scores of over-the-counter (OTC) antacids. CDx Diagnostics, an innovator in computer synthesized, three dimensional tissue analysis for the early detection and surveillance of Barrett’s esophagus, today announced new data for WATS3D, or Wide Area Transepithelial Sampling with 3D Tissue Analysis, demonstrating the clinical significance of crypt dysplasia as an important risk factor for progression to high-grade esophageal dysplasia or esophageal cancer. Tuesday, 2 October 2018 marks the first ever World Stomach Day, an international initiative to raise awareness and support for one of our most vital organs. In both ADHD and emotional instability disorders (eg borderline and antisocial personality disorder as well as conduct disorder in children), the brain exhibits similar changes in overlapping areas, meaning that the two types of conditions should be seen as related and attention should be paid to both during diagnosis. Microvascular dysfunction, or small vessel disease, can be an important cause of heart failure with preserved ejection fraction (preserved pumping capacity), an international team including researchers from Karolinska Institutet and AstraZeneca report in a study published in The European Heart Journal. Oxygen therapy does not prevent the development of heart failure. Neither does it reduce the long-term risk of dying for patients with suspected heart attack. Medical or surgical treatment of severe heartburn prevents cancer of the esophagus, a study from Karolinska Institutet with almost one million Nordic patients reveals. The results will be published in the scientific journal JAMA Oncology. It begins with cold hands. Not just put-on-some-gloves cold. Instead, the fingers overreact to cold by turning white or blue and may become numb or tingly. As the number of Americans with acid reflux grows, a study by researchers at the University of Colorado Anschutz Medical Campus says invasive procedures to treat those who don't respond to medication should be done for select patients. Researchers at the University of Exeter have found a statistical link between pneumonia in older people and a group of medicines commonly used to neutralize stomach acid in people with heartburn or stomach ulcers. A team of researchers has developed a wearable, non-invasive system to monitor electrical activity in the stomach over 24 hours--essentially an electrocardiogram but for the gastro-intestinal (GI) tract. Researchers used machine learning techniques, including natural language processing algorithms, to identify clinical concepts in radiologist reports for CT scans, according to a study conducted at the Icahn School of Medicine at Mount Sinai and published today in the journal Radiology. While palliative radiation therapy is used to ease pain in patients with advanced lung cancer, it often has adverse effects on the esophagus which leads to symptoms like heartburn and difficulty swallowing.